Yellen saves the weakest week of the year for the stock market day 4!!! I had a good day yesterday. I was patient and waited until the Fed announcement. Then when I was convinced the market was going to respond positively to what the Fed was doing I started taking breakout longs and was rewarded nicely. In addition I know have on two medium term swing trades although the profit has moved so well in one of the trades its close to an exit point already! With yesterdays price action that leaves us with a very high probability of consolidation or a bit of a pullback today. However the market is again for the 4th day this week gapping up on the open. We still have an hour or so but we are just under .5% gap to the upside this morning. I received an email last night as to whether I post all of my trades on my private twitter feed.The answer is no. First some of these breakout trades shoot so fast through the breakout point it would be a disservice to post them.Unlike most traders who know in advance what trades they are going to make I evaluate things fluidly and often times elect not to take trades. An example would be on Tuesday when It was clear to me the markets had a high probability of reversing the gap. Also pre fed announcement is another example where I pass on a handful of trades that triggered. I want an all clear before I take these trades. The other reason is I do not have time to review the markets and then spend time sending out plays in a timely manner. As I approach 70 my mind is not quite what it used to be at least as far as being quick to respond to what I see. But I do post some of my trades and I do make some comments that I think are very predictive of what to expect in the markets shortly after the open and occasionally throughout the day. That is why I am not charging for my private twitter feed for the stock market. 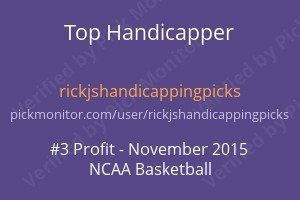 Until I can devote the obsessive energy to it that I do in handicapping sports its going to remain free. I do not charge unless I can devote 110% of my efforts to that project. And even then the charge is only to help defer much of my expenses in doing what I do along with a small amount for the 12 hour days I put in doing this. 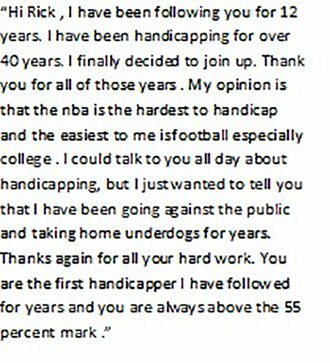 I also get many emails regarding why I do this as I have been obsessively posting positive EV sports handicapping plays for over 13 years now. Its a very simple answer. That is how I am hardwired:) I have turned my modest OCD tendencies into a constructive outlet doing something I enjoy immensely! Over the years I have been very successful at every endeavor I have undertaken. I lost very few trials that went to jury, my multi state business venture was so successful I sold it to the 2nd highest retail chain in the country, and poker was a profitable endeavor from the start. If you have been following me over the last 13+ years you know exactly what I am talking about. I have an obsessive inner compass that requires me to be successful. And it has shown itself in one of the toughest areas to be successful in. Handicapping sports is an endeavor that very few succeed in. I have seen numbers that over 95% of the sports bettors lose money. And I think that number is too low! I have went way further then I was planning to but now you have an insight a bit more of who your are dealing with here at RickJ’s Handicapping Picks. Let me also add in case you are wondering. I am honest too a fault!